Black Friday is usually a Best time for shopping. These next few days are the perfect time to buy hosting, Premium WordPress Plugins, themes and other online stuff and you can get big Discounts. Generally these Deals are live 2-3 days before Black Friday and over on the same day, or few of them continue till Cyber Monday. This year (2016), Black Friday promotions are starting on Friday, November 25th, 2016. These offers are for LIMITED TIME only. We’ve indicated the expiration date next to each offer. Don’t forget to bookmark this page because I will be updating it throughout the week as I find new deals. Huge savings on all annual shared hosting plans – 70% OFF Premium Quality Hosting from SiteGround! Bluehost is a popular hosting solution for WordPress, and the Thanksgiving discount will start with Black Friday & will end with Cyber Monday on 28th November. Bluehost is offering a different discount on Black Friday & Cyber Monday. You can enjoy a new Shared Basic, Plus, or Pro account starting as low as $2.65 a month for 36 months on Black Friday till Sunday. 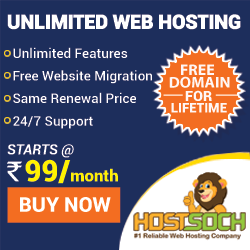 HostGator is one of the most popular web hosting company. Most of us prefer to grab Baby hosting plan for three years as it saves a lot of money in the longer run. HostGator offering an astounding 65% OFF ALL hosting packages and $5.99 on select domains. Also sprinkling in 75% OFF Flash Sales plus $2.99 on select domains throughout the wholesale. DreamHost is the leader in shared web hosting, vps hosting, dedicated hosting, WordPress hosting, cloud storage and cloud computing. DreamHost is the Award-winning Web & WordPress Hosting. Offers end 11/28/16 @ 3pm PDT. GetResponse is the World’s Easiest Email Marketing platform. Get Up to 40% off Getresponse. 1000 accounts up for grabs at this special price. Combining other solutions would cost around $230 per month. But the powerful GetResponse Pro Package is only $49 per month.Now you can lock-in that package with an even deeper discount of up to 40% off each package. This means you can pay as little as $29/month for complete marketing solution including email marketing, landing pages, webinars, and marketing automation. GetResponse has set a limit on the number of accounts to offer at these ridiculously low prices. What a great way to build or grow your online business. Grab the marketing solution of your dreams at a discounted price today! Click the link for discounted pricing. ThemeIsle offers several popular WordPress themes and plugins. You can get 35% discount on their themes and plugins by using following coupon code. This deal is starting from November 25 to November 29. Miscellaneous Black Friday, Cyber Monday, deals, discounts, promotions, saving. permalink.